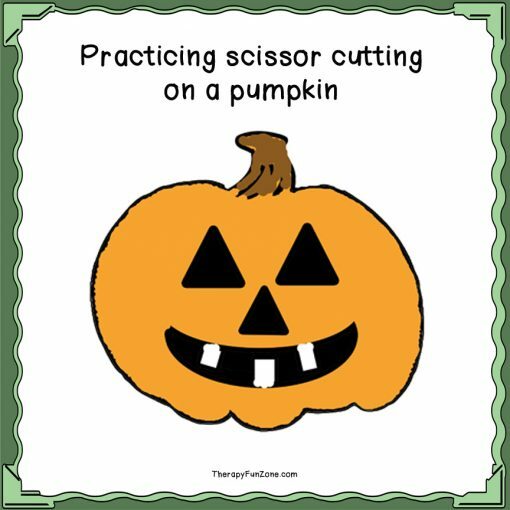 Pumpkin template to cut out and glue on a piece of paper. Cut out the eyes, nose, and mouth, and glue them on. 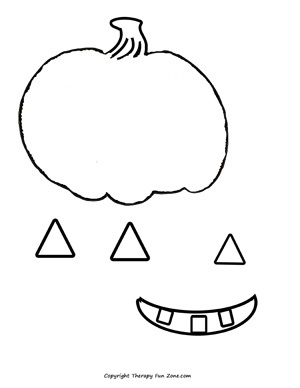 Included is a white pumpkin in case you want your students to color it too. 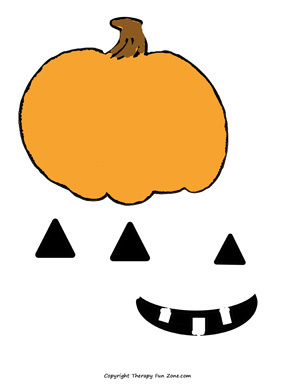 I then had my students write what they like about fall and/or Halloween. I like to use this template paper so that they can glue their art on one side, and have writing on the other part of the paper. This activity works on fine motor skills and visual perceptual skills, as well as handwriting.